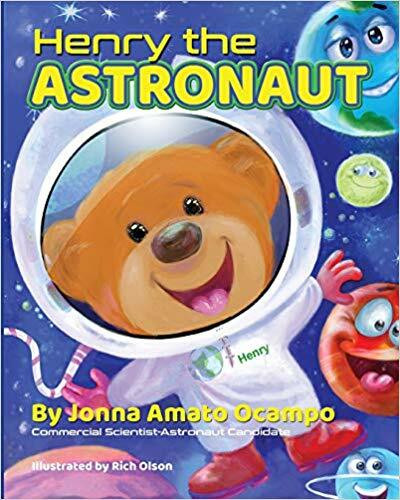 Written by Jonna Ocampo, NASA Scientist-Astronaut, and narrated by Cheri Gardner, “HENRY THE ASTRONAUT” delightfully captivates the imagination in this worlds of wonder bedtime story about Henry, a teddy bear and an astronaut. When Henry lays down to sleep, the brightness of the night sky greets him. He wonders what is hiding behind the twinkling stars and the light of the moon that shines into his bedroom each night. 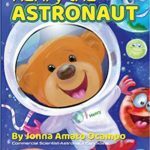 The stellar adventure begins with Henry’s rocket ship flying into the night’s sky toward the edge of space and then landing on the moon.